Samsung unveiled its much-awaited Galaxy S10 series at an event in San Francisco. Now, the company has revealed the prices and pre-booking offers for the phones in India. The pre-bookings for the S10 series phones is now open in India via e-commerce platforms like Flipkart, Amazon, Tata CliQ, Paytm, and other retail outlets. 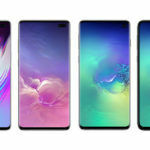 The Samsung Galaxy S10, Galaxy S10+, and Galaxy S10e will be up for sale in India starting March 8, 2019. 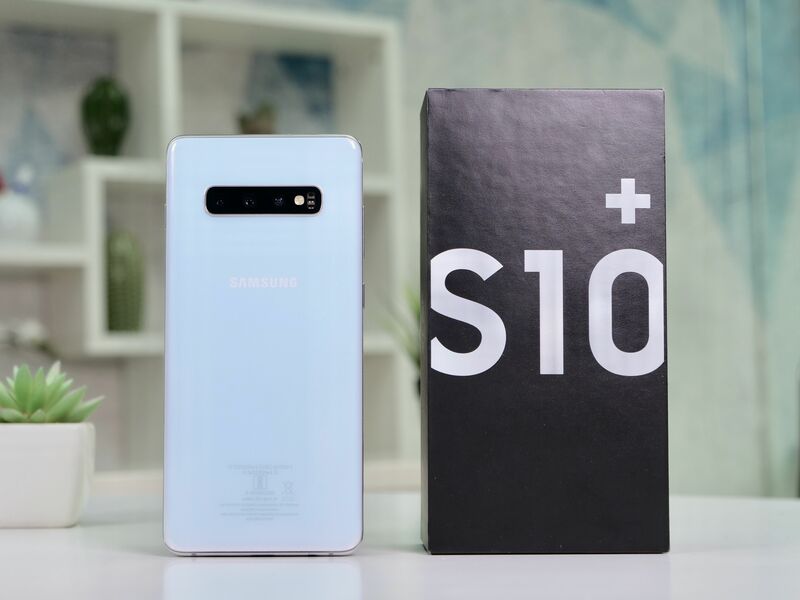 Interested buyers can pre-book their choice of S10 phone until March 5, 2019. Let’s check out the launch offers clubbed with these latest phones from Samsung. 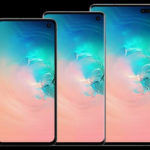 Concerning the pricing of these phones, the Galaxy S10 price in India starts at INR 66,900 for the 8GB RAM+128GB storage variant, INR 84,900 for the 8GB RAM+512GB storage model. The higher storage variant will be available in Prism White color option while the standard storage variant comes in Prism Black, Prism Blue, and Prism White color variants. The Galaxy S10+ price in India starts at INR 73,900 for the 8GB RAM+128GB Storage variant, INR 84,900 for the 8GB RAM+512GB Storage model, and INR 1,17,900 for the 12GB RAM+1TB Storage variant. The 512GB and 1TB storage models are available in Ceramic Black and Ceramic White color options while the 128GB storage model comes in Prism Black, Prism Blue, and Prism White color options. The Samsung Galaxy S10e price in India starts at INR 55,900 for the standalone 6GB RAM+128GB Storage model. It is available in Prism Black and Prism White color options. For the ones who pre-book the Galaxy S10, they will be entitled to get the latest Galaxy Watch for as low as INR 9,999, or they can get the Galaxy Buds for INR 2,999. It’s worth noting that the Galaxy Watch retails at INR 29,990 while the Galaxy Buds retail price is INR 9,990. Moreover, HDFC card users can get a cashback up to INR 6,000. Coming to the specifications, all the phones in the S10 series run Android 9.0 Pie-based OneUI. 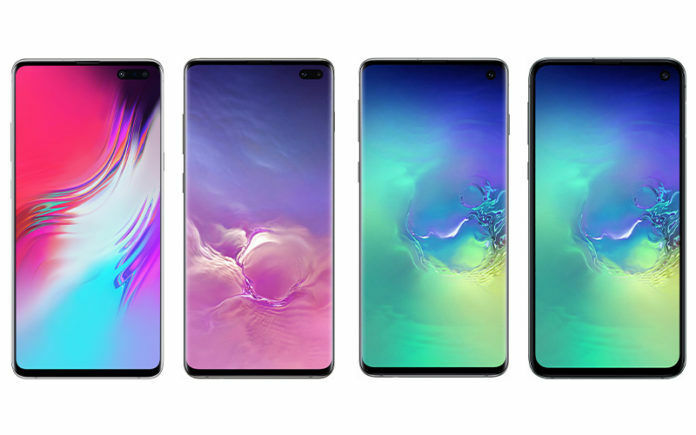 The Galaxy S10 comes with a 6.1-inch QHD+ Curved Dynamic AMOLED Infinity-O Display while the S10+ has a 6.4-inch QHD+ Curved AMOLED display. The Galaxy S10e packs a 5.8-inch full-HD+ Flat AMOLED display. All the three phones are powered by 8nm octa-core Samsung Exynos 9820 SoC for India and other select regions while the other regions get 7nm octa-core Qualcomm Snapdragon 855 SoC. The storage and RAM capacity depends on the model one is opting for. All the three models in the series also support storage expansion via microSD card. 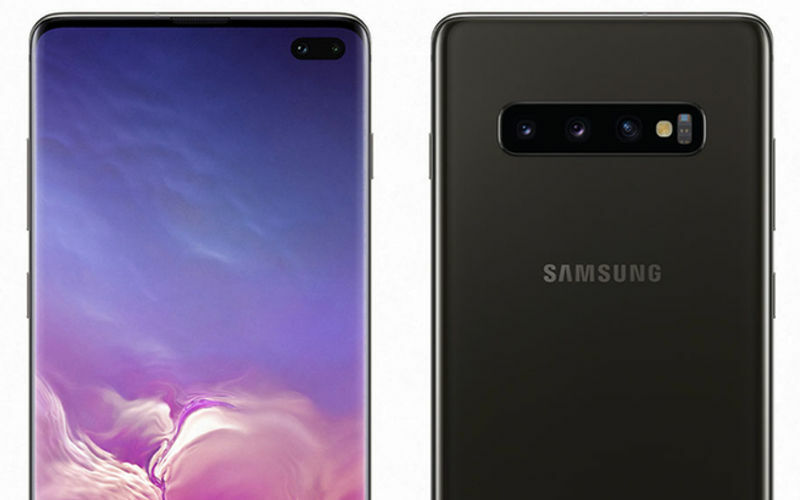 In the camera segment, the Samsung Galaxy S10 and Galaxy S10+ share the same rear camera specs i.e. 12MP+12MP+16MP triple camera setup. On the front, the Galaxy S10 has a single 10MP selfie camera while the S10+ has an 8MP+10MP dual front camera setup. The Galaxy S10e has a 12MP+16MP dual rear camera setup and a 10MP selfie snapper on the front. 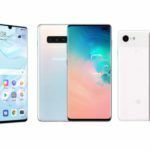 The Galaxy S10+ has recently been awarded the top spot for its selfie camera by DxOMark. A 3,400mAh battery backs the Galaxy S10 while the Galaxy S10+ packs a 4,100mAh battery. A 3,100mAh battery completes the Galaxy S10e. All the three phones in the S10 series support connectivity options such as 4G VoLTE (LTE Cat. 20), Wi-Fi 802.11ax, USB Type-C port, Bluetooth v5.0, GPS/ A-GPS, and a 3.5mm headphone jack. The Galaxy S10 and the S10+ also include an ultrasonic in-display fingerprint sensor, heart rate sensor. The Galaxy S10e settles for a side-mounted fingerprint scanner.